Directions to The Verandah House, 29 Ipswich Road, Stowmarket, Suffolk. IP14 1BD. Please note: Sat nav will go to wrong area using postcode. Please use address. Google map service: Click on map for Google Map Service. Take the slip road off to Stowmarket. At the roundabout go 2nd left. Pass the garage on the left and at the next roundabout take 1st left , continue to next roundabout and take 2nd left(Gipping Way) and continue to the traffic lights (VW showroom on far left corner). Go straight across and take the second turning on the right – Hollingsworth Road. 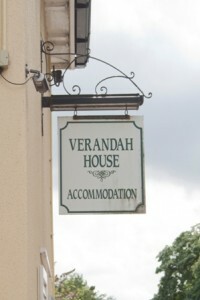 Turn right at the roundabout and Verandah House is on the right (Cream Georgian House with white shutters). Parking is available through the Black 5 bar gate. At approx.10 miles from the A12 junction take the slip road off to Stowmarket. At the next roundabout (Tescos on your right) take the first exit (straight across). At the traffic lights turn right towards Stowmarket. At the next roundabout take the third exit (Gipping Way). Take the next turning left which is Hollingsworth Road.Turn right at the roundabout and Verandah House is on the right (Cream Georgian House with white shutters). 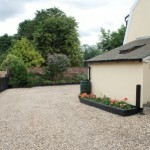 Parking is available through the Black 5 bar gate. 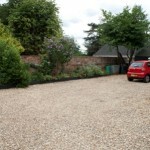 The small car park to the rear of the property can accommodate up to 6 cars. 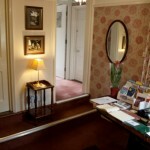 Guests that have walking difficulties, can be dropped off at the entrance to off-load their belongings. 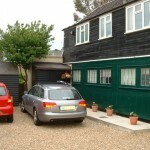 The car can then be driven to the car park, by either the owner or proprietor as requested. London Liverpool St. approx 90 minutes. 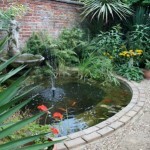 Direct routes to / from Norwich, Ipswich, Bury St. Edmunds, Cambridge and Peterborough. Buses to and from Ipswich and Bury St. Edmunds taking in surrounding villages. A taxi rank operates from the station and the high street.